https://www.easyslots.com brought to you by Playson, Gold Rush is set in the deep trenches of a mine as you go on the hunt for hidden gold. It’s gritty theme and country soundtrack mix nicely to provide a surprisingly uplifting experience. Gold Rush has a 5-reel setup with 9 fixed pay-lines on offer at all stakes. Even though there is no free spins feature within this game, the eventful base game, wacky bonuses and expanding wilds make up for that. Get your mining hat on and start digging for your share of the gold. play today! This 5-reel slot has a maximum of 9 fixed pay-lines and a variety of different stakes on offer. Although Gold Rush is thought of as a medium-high variance slot, it’s base game combined with regular bonuses can still deliver a big pay-day. * DETONATOR WILDS – When you hit a Detonator WILD, it will expand and fill the whole reel. It also increases the Bonus prize, which will be an amount based on your total stake. * TNT BONUS SCATTERS – Each TNT SCATTER produces a stick of dynamite and when you’ve collected 10 SCATTERS, the Bonus game will be triggered. * CLICK-ME BONUS – The Click-me BONUS randomly triggers when that symbol appears on the reels. You’ll be moved to a new board where you’ll have to choose from 3 carts. Each cart contains a specific multiplier that applies to your winning spin. More casino bonuses here. 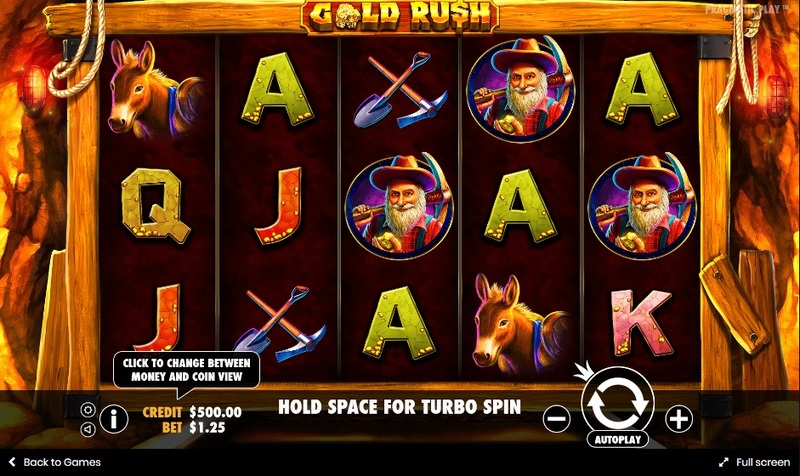 Gold Rush is definitely an entertaining slot with a great design and smooth gameplay. Admittedly, it’s difficult to create a great slot without a Free Spins Feature, but Playson have certainly developed a good one. The in-game bonuses appear more than you’d imagine and deliver quick and big wins. Not only that, but the expanding wilds have huge potential if they connect on the necessary reels. 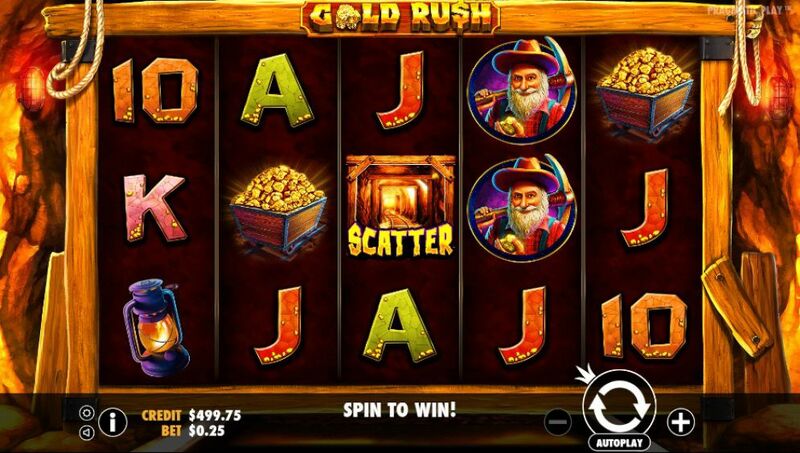 Gold Rush is a slot that takes time and patience, but the rewards are well worth the wait. Read more about mobile slots deposit and claim your free spins today!